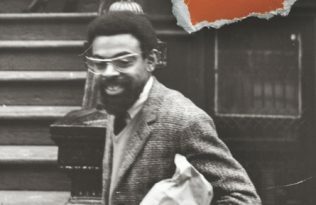 75 years later, Hentoff has written countless books and articles about music and civil rights, won a Guggenheim fellowship, reviewed and produced jazz recordings, and befriended and interviewed the most famous and influential jazz musicians of all time. Hentoff’s interviews with jazz artists bring more depth to the music through good conversation. “I figured if I could get the inner people, the innerness of the people who do this music, into their language, which I then would put into print, that would be as close as I really could come to putting the music into print”, he told the New York Times. On KQED’s Forum, Hentoff talked to Michael Krasny about his life at the jazz band ball, and the advice he got from his mentor Duke Ellington: Never categorize people. Hentoff himself defies categorization. “I’m a Jewish atheist civil-libertarian pro-lifer”, he has said. In addition to his life on the jazz scene, Hentoff is a well-known activist for civil liberties, especially freedom of speech, and fights to bring the freedom of expression that defines jazz into everyday life. In an interview on the Michael Eric Dyson Show, Hentoff explored the connections between jazz, civil rights, and the Constitution. 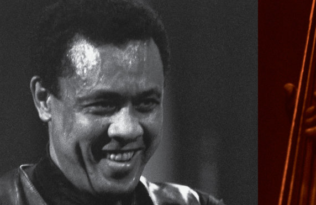 It would be impossible to live so many years at the center of the jazz world and not have some great stories. And Hentoff does: he recalls how Louis Armstrong had the power to put a war on hold in the Belgian Congo, the time he sent liner notes on John Coltrane to a tenor in Stalin’s Russia, and some great stories of how jazz can inspire learning in the classroom. 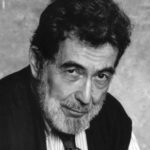 Read interviews with Nat Hentoff at All About Jazz, JazzTimes, JazzWax and The New York Times, and listen to him on the Michael Eric Dyson Show. Listen to Nat Hentoff on KQED’s Forum.